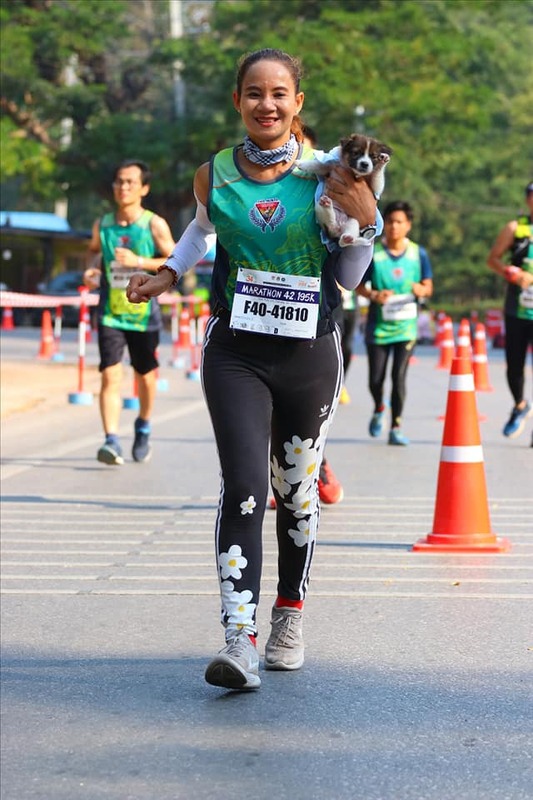 Marathon runner Khemjira Klongsabun was running the 26-mile Chombueng marathon in western Thailand when she came upon something unexpected. 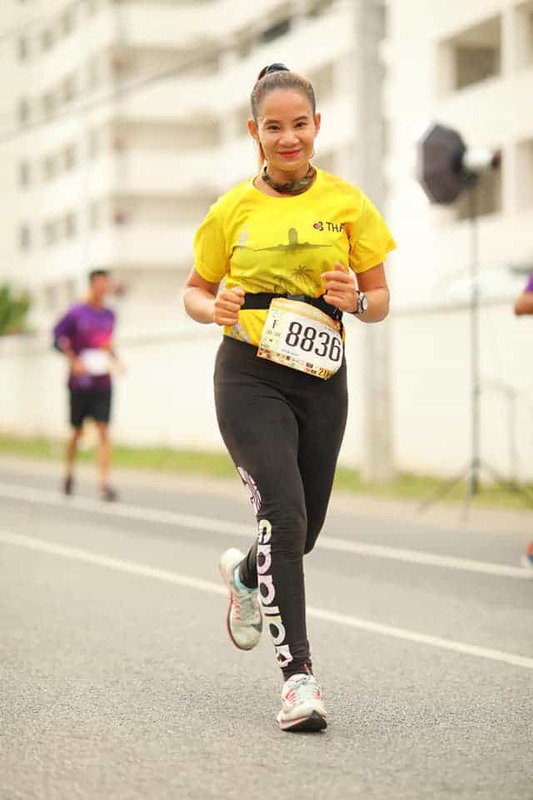 At about the seven mile point in the marathon she noticed a small shape trembling just off the concrete as the other runners tried to avoid stepping on it. Upon closer inspection, she determined it was a a Bangkaew, or Thai wolf dog, puppy. The poor thing was stuck in the middle of the path of the marathon with no idea of what to do. A dog lover, what she did next was amazing. Khemjira, who was born in 1976, is a shop owner who had noticed runners trying to avoid other dogs in past marathons. This time, instead of just passing the poor pup by she took a good look around. She noticed that no crowds were in the area to cheer on the marathon runners. 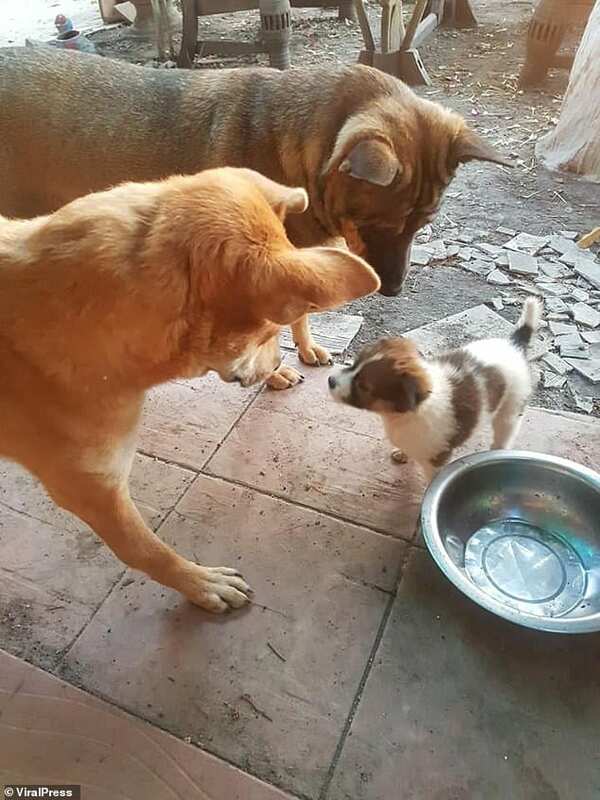 She wondered if the puppy’s owner was nearby. She saw no residences in the vicinity of the lone puppy. 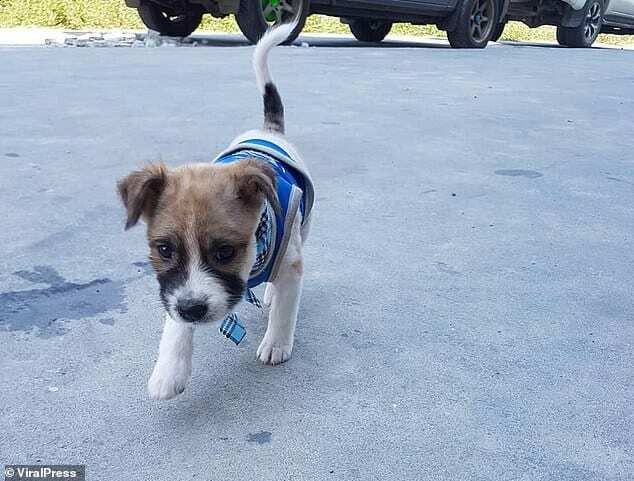 So, she did what any dog lover would do, she picked up the puppy and ran with it in an attempt to get it out of harm’s way. 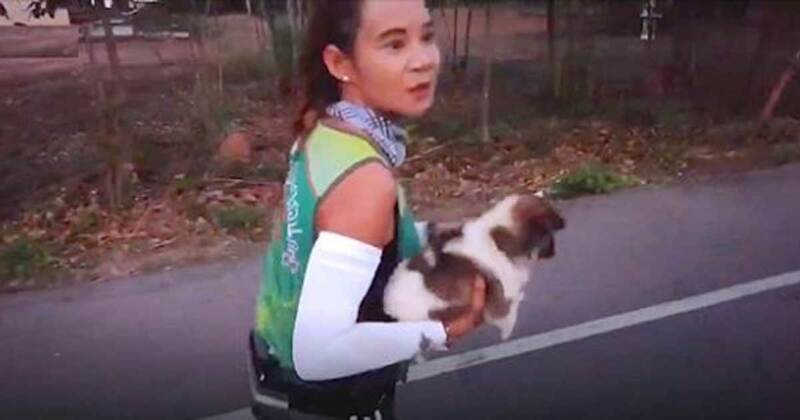 But instead of stopping and setting it down where she thought the Bangkaew puppy would be safe she kept going. 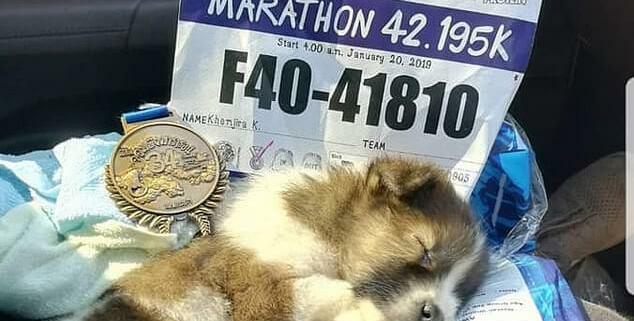 When she was done, she had carried the lost puppy the entirety of the remaining 19-miles of the marathon, but she wasn’t done yet. Where Is the Puppy Now? 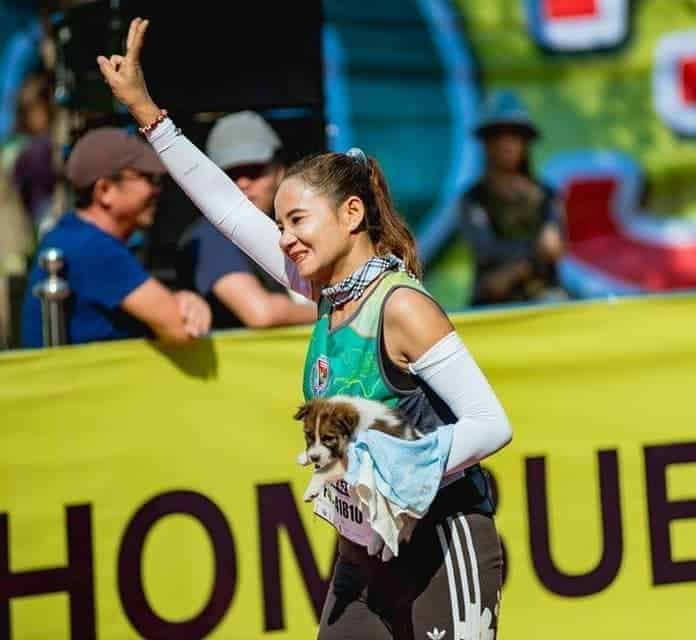 After the marathon, Khemjira searched for the owner of the dog. Upon no one coming forward, she adopted the lost puppy herself. Naming him Chombueng, after the marathon where she rescued him, she brought him home to meet the rest of his family. Khemjira also owns two other dogs, both adults. One of them is even of the same breed as little Chombueng. And while getting him properly vaccinated took some time, the little pup is now happy in his new home alongside his new mom and family. And while Khemjira thinks it might take some time for the little guy to adapt to his new situation, she feels he will ultimately be happy to live with his new family. She has even gifted Chombueng with a brand new blue bandana. Just think of the determination it must have taken for Khemjira to finish the marathon, much less while carrying the additional weight of the puppy. Her love for other living things and determination to finish what she started must be great. You can watch the video of this amazing rescue below.